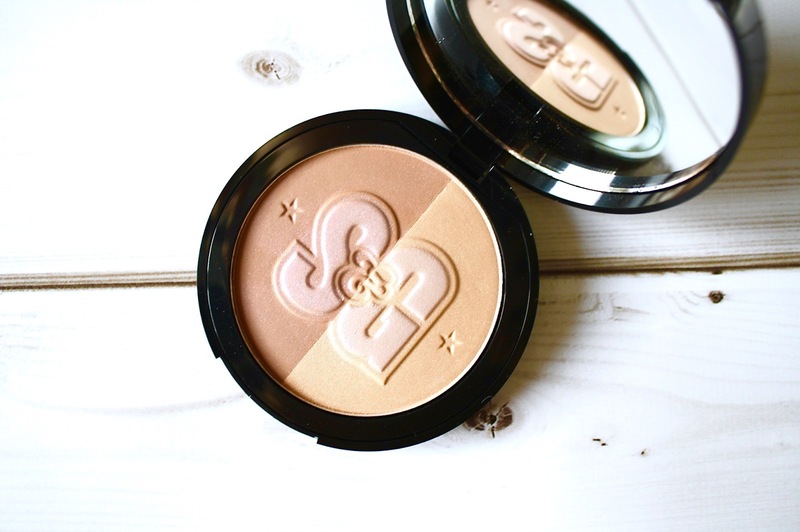 The bronzer itself is split into two shades, with a delicate coating of pink highlighter on the lettering too. 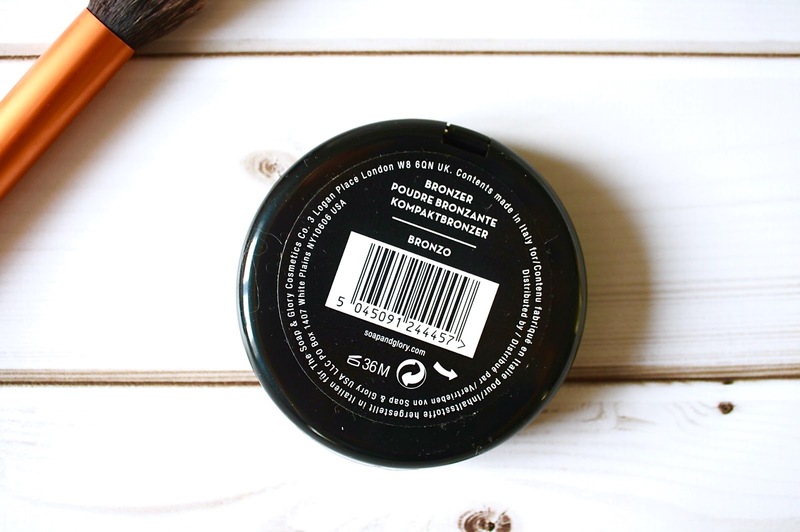 One of the bronzer shades is a caramel brown and the other is a pale chocolate-coloured shade. I think the thing that keeps me repurchasing this is the fact that it is pale enough for me to wear when I haven't applied fake tan. I am naturally very fair-skinned and it is such a task trying to find a bronzer/contour kit that doesn't leave terrible lines around my face and jaw bone; I find that both of the shades in this palette are pale enough to leave my skin with a natural-looking sun-kissed glow. Once I have applied my base makeup, I gently work in the paler of the two shades below my cheek bones, building up a subtle contour. I have found that the Real Techniques Setting Brush is the best for application of this; the brush is soft enough to sweep the colour onto my cheeks but defined enough in shape to apply the bronzer as a contour. Once I have built up enough colour in the paler shade, I work back in with the darker shade to follow. I sweep both shades around the sides of my forehead too as I have a heart-shaped face and I find this palette great to add the extra definition. 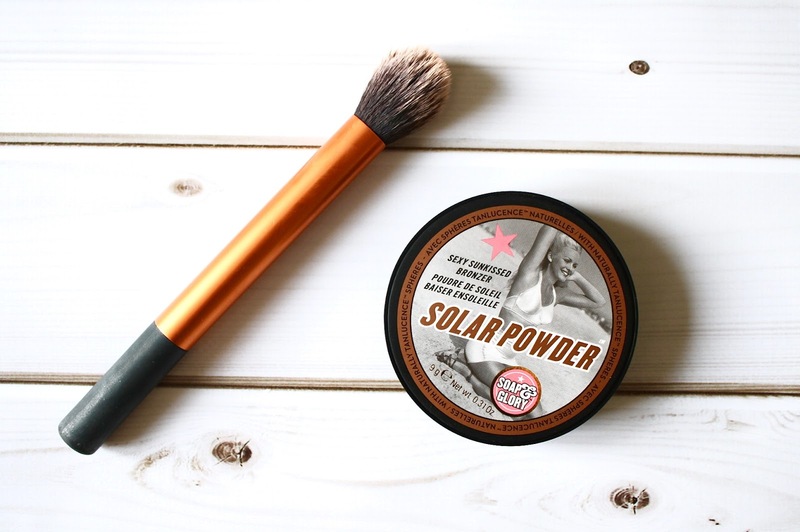 If you're looking to banish those awkward 'makeup lines', perhaps this is the bronzer for you. This is looking like a great powder ! I haven't used this in so long, i forgot how much i loved it! I need to go buy it again. I've only ever tried eyeliner by soap and glory and wasnt impressed, but this looks pretty decent!